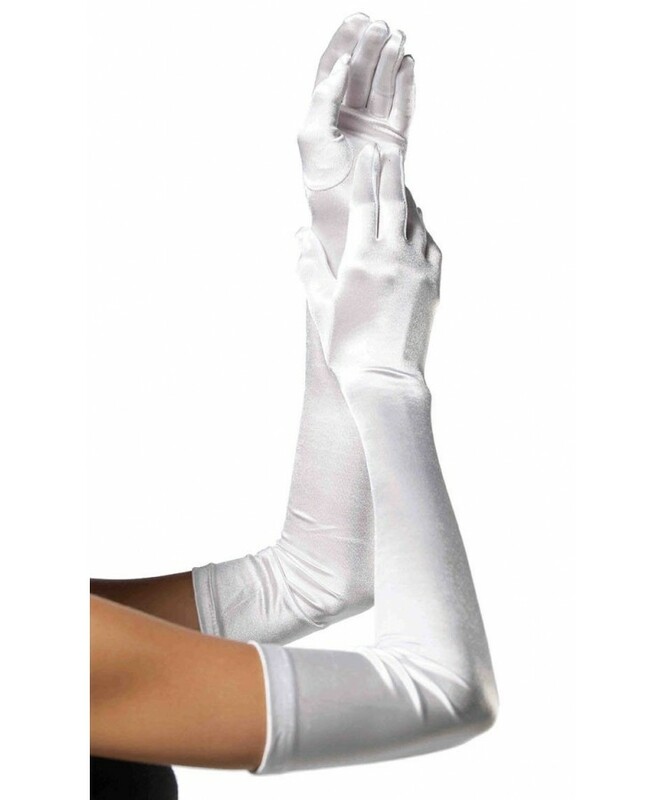 Elegant extra long satin gloves recall a more glamorous time when going out meant dressing to the nines. White satin is perfect for bridal and other formal wear. Item Number: LA-L16B-WHT | Approximate Size (Inches): 8.00 wide x 1.00 deep x 10.00 high | Approximate Shipping Weight: 0.50 lbs.